2015 Chevrolet Silverado 1500 High Country CREW CAB 4X4 * CLEARANCE PRICED!! 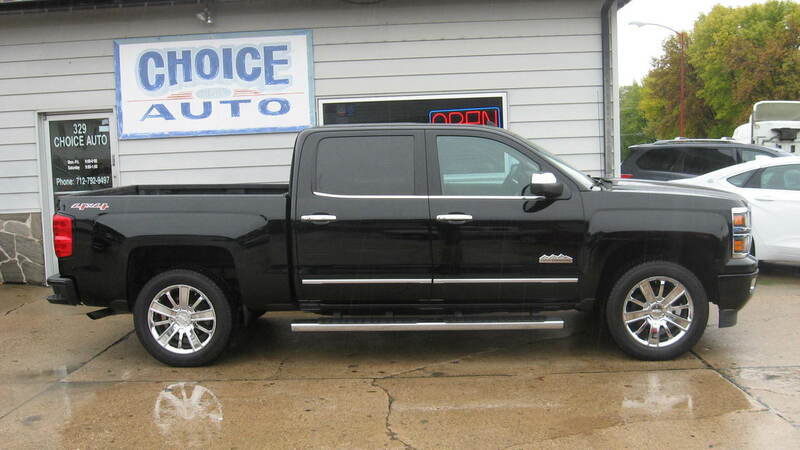 Super Nice 2015 Chevy Silverado 1500 High Country 4WD * Completely loaded * Premium heated/cooled saddle leather interior with memory seating * DVD screens behind front seats in head rest * Sunroof * Driver alert package * Power folding mirrors *Navigation * Bose stereo with XM radio * Power rear window * Hands free phone * Keyless entry with factory remote start * garage door openers * Tow package with trailer brakes * Spry in bedliner * Running boards * Backup camera * Adjustable foot pedals * This pickup has been extremely well maintained and has remainder of factory drivetrain warranty * Priced thousands under book * Come check out today!! !